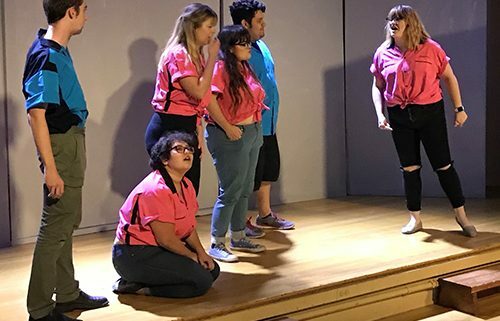 Battle Moose Improv Comedy is the house improv troupe at BlackBox Theatre in Casa Grande, AZ. Directed by Ken Ferguson, Battle Moose is a family friendly comedy performance troupe. Always interactive and inspired by audience suggestions, this group of talented individuals brings the laughs through improv, comedy scenes, and games!